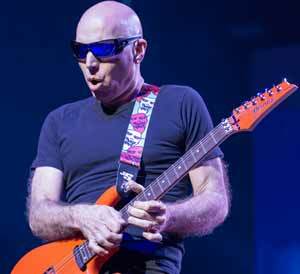 Joe Satriani’s vocal-like guitar tone has inspired a lot of guitarists (including me). In this guide let’s look at the gear and effects Joe uses to shape his tone. You don’t need to buy all the gear covered here to get a Satriani lead tone. But having an idea of what gear he uses can help you get closer. For example, if you try and play Surfing with the alien without a wah pedal, it’s not going to sound right. If you try and play Cool #9 without a whammy pedal, it’s going to be missing an important part of what makes that song interesting. Use this guide as a starting point to figuring out how to come up with a Joe Satriani-like tone. 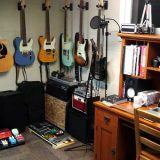 Once you have a good understanding of the gear Joe uses, check out the Guitar Effects and Tone Course here to really dig into each effect and learn how to set up different tones. If you follow the advice, you’ll be able to listen to any Satriani song, figure out what effects are used, and dial in the right tones on your gear. The Ibanez JS series is well-known to shredders. If you’ve ever tried one, you probably remember how ergonomic it felt (that’s the first thing I noticed when I tried one out). The body shape and features of the JS series have remained unchanged over the years up until the JS2400 range. The main differences since then you will notice is the change in neck pickup and the change from 22 to 24 frets. 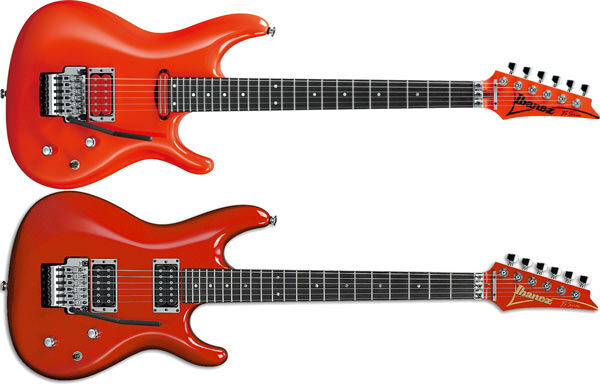 If you compare the position of the neck pickups, you’ll notice that they both line up. The change in the pickup was due to the change to 24 frets. If Joe placed a standard humbucker in the neck position, the tone would have changed as it would have been pushed closer to the bridge. By changing to a single-coil sized pickup, Joe can keep more of the neck pickup tone he was used to. While it looks like a single coil pickup, it’s actually a humbucker. This change allows Joe to get some strat-like tones while keeping the noise-canceling benefits of a humbucker. Joe explains these changes in the video later on if you’re interested in hearing more about the change in design. There are a couple of other interesting features with the JS series. The volume knob uses a push-pull switch to enable a high pass filter. This is unusual to see on a guitar, so I’ll explain what it does. A high pass filter reduces the lower frequencies so you end up with a more treble sounding tone. When playing on full volume this has very little impact on your tone. It’s only when you roll the volume knob down that you start to hear the difference. Normally when you roll your volume knob off, you lose high end. When the high pass filter is enabled, you end up with a brighter tone. It’s likely this is what Joe does in songs like Always with me, always with you during the arpeggios. He rolls the volume knob down to clean up his tone, then enables the high pass filter to get a brighter sound. If you’ve never played a guitar with coil tapping before, it basically gives you double the tone options. When enabled, you get single-coil tones out of your humbucker pickups. If you like the idea of having strat-like tones as well as humbucker tones and everything in-between, look out for guitars with this option. There are other colors available inspired by muscle cars such as Muscle Car Orange, Candy Apple Red, and his iconic Chrome. The JS140 doesn’t have the high pass filter on the volume knob, but it does give you the same coil tapping flexibility as the higher-end models. I feel this is really important to remember because amps are usually where guitarists go overboard trying to copy the sound of somebody else. If you like the sound of Joe’s signature amp model, great. Otherwise, I highly recommend you find an amp that suits you. Playing a signature guitar is very different from a signature amp. I personally feel there’s a lot of value in signature guitars due to custom features and design that changes the way you play. In comparison, there’s very little value in signature amps. Joe switched from Peavey to Marshall in 2010 and his current amp is a modified JVM410H. It’s a four channel 100w amp with four 12AX7 tubes in the preamp, one 12AX7 and four EL34 in the power amp. 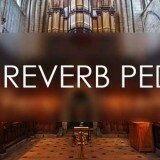 The reverb knobs have been replaced with four noise gates which is an interesting way to control noise. There’s also a mid-shift button that changes the medium frequency between 500Hz and 650Hz. What’s interesting about that feature is you can assign it to the two overdrive channels. 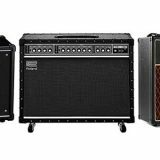 While the above amp probably doesn’t suit guitarists who only play at home, if you’re a gigging guitarist it might be worth checking out. Check out the price and details of the Marshall JVM-410H Joe Satriani Signature Head here. Before the change to Marshall, Joe was a Peavey guy. His signature JSX model was originally based on a Marshall 6100. Joe would use his Satchurator pedal or a DS-1 and run into the cranked clean channel. The solo guitar in If I Could Fly is a good example of the JSX crunch channel (which was based on the Peavey Vintage 50). If you want to try and copy Joe Satriani’s lead guitar tone, you’re probably looking for his amp settings. If you want to find out what Joe Satriani’s amp settings are, read through this guide. It will explain everything you need to know about amp settings. I highly recommend reading the above guide. You might think you’ll be better off if somebody gives you exact Joe Satriani amp settings to copy, but as the guide explains, you won’t be better off. Learning how to dial in the right tone will give you far better results than following some presets somebody on the Internet suggested. Comparing the two rigs above shows what pedals can be replaced and what pedals are essential. The Big Bad Wah, Whammy, and Axe-FX II all seem to be essential to Joe’s live rig. That could change in the future, but seeing as they’ve been there for quite a few years, they’re likely to stick around. Some of his pedals he swaps around such as the EVH Flanger pedal for a BOSS Chorus or the Octafuzz for a Micro POG. This is a good lesson because it shows how his tone preferences evolve. In your own rig, it’s okay if you outgrow a pedal or become tired of it. Swapping it for something similar is a great way to add something new to your tone. Even changing from one brand to another can be enough to ‘refresh’ your tone. To see how much Joe’s pedalboard has changed over time, check out the below rig rundown video. You’ll see at that time he used two of his signature delay pedals (VOX Time Machine), Vox Satchurator, and his VOX Ice 9 Overdrive pedal. The video also explains the changes to his guitars that I covered earlier as well as other interesting insights. If you set up a rig with the above pedals, you’ll be able to cover almost all of his music. There are other effects pedals that appear, but the above pedals cover most songs. Let’s go through each type of pedal so you can decide what’s right for you. Joe has bounced around with different distortion and overdrive pedals over the years. He used the BOSS DS-1 for many years and probably still uses it in the studio. For quite some time he used his signature VOX Satchurator distortion and VOX Ice 9 Overdrive pedals. In his latest rig, he uses a Xotic BB Preamp Overdrive. 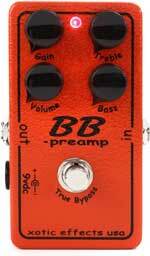 It’s likely he uses the BB Preamp Overdrive as a clean boost to push his amp when he needs it. If you’re not sure of the differences between distortion and overdrive and how to use them in different ways (eg: gain stacking), check out my Guitar Effects Course to learn more. The fact that Joe has changed pedals over the years means you can be flexible with the pedal you choose too. Find a drive pedal that suits your own preferences and if you have the rest of your rig set up properly, you’ll still be able to achieve a good Satriani-like tone. Check out some other Distortion pedals here. One of the ways Satriani creates his vocal-like lead guitar tone is with a wah pedal. The wah helps him in some songs add more expression to his melodies and licks. While his signature wah pedal, the VOX Big Bad Wah, has been discontinued, if you can find one second-hand, I highly recommend it. I use it in my rig because of the flexibility in tone it offers. If you can’t get your hands on a Big Bad Wah, there are plenty of alternatives as I cover in this guide. If you’re looking for a simple wah pedal, the Dunlop Crybaby or the VOX V847A are solid choices. Surfing With The Alien – this is the song many people think of when they think of Joe Satriani. Trying to play the iconic licks in this song without a wah pedal just feels wrong. With a wah, you can really dig into the notes and add your own unique expression. The Crush of Love – if you’re new to using a wah pedal, this song is a good starting point. 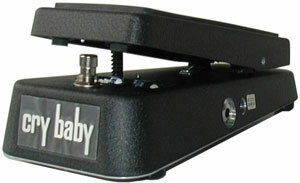 The wah pedal rocks back and forth in a straightforward way during the main melody. Some of the slower licks are great examples of the wah pedal used properly to add feeling to what you’re playing. The Souls of Distortion – this 7 string song used the wah in a rhythmic wah that adds interesting texture to the song. This is a great example of using a wah to create vocal-like tones. If you haven’t used a wah pedal before, check out this lesson for exercises to get you used to it. It’s always clear when a guitarist uses a whammy pedal. An obvious example of one of Satriani’s songs is Searching. The whammy section in Searching is a great example of the Whammy used in a creative way. Cool #9 uses the whammy sparingly throughout the song to highlight notes and add interesting glides. 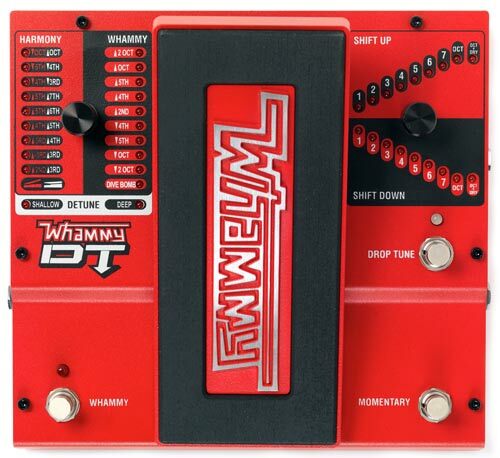 If you want to experiment with a Whammy pedal, the DigiTech Whammy DT is one of the best available. It gives you all the typical features of a Whammy pedal as well as drop tuning abilities as I cover in my review here. After playing around with some Satriani songs, check out this list for other songs using the Whammy pedal. This lesson will help you get used to using a whammy pedal and learn to use it in different ways. In both of the rigs shown earlier, Joe uses an octave pedal. An octave pedal is like a Whammy set to the harmonize mode. It produces a tone an octave below or above your original tone. Super Colossal is a good example of how mixing in an octave below and an octave above can create a crushing tone. Joe used to use his Whammy pedal to achieve these tones, but currently uses an EHX Micro POG. 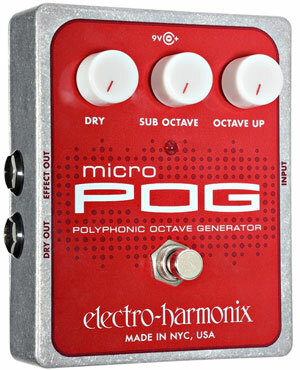 The Micro POG (or the more compact Nano POG) allows you to mix between your original tone, an octave below, and an octave above. This gives you plenty of flexibility in what tones you want to achieve. In the 2016 rig, Joe used a Fulltone Octafuzz. This pedal is a bit different to the Micro POG above, so don’t buy one thinking it can produce the same results. The Octafuzz combines fuzz distortion with octave up sounds. You can’t get the octave below sounds so either Joe didn’t perform songs with that effect live, or he used his Axe-FX unit or his Whammy pedal for those songs. If you listen to Hendrix, you’ll know the sound of the Octafuzz. I was surprised to see this pedal on Joe’s rig and not sure how often he used it. Unless you really want an Octafuzz sound, I would recommend the Micro POG. You can achieve a similar sound by combining a Micro POG with a fuzz pedal. As with most guitarists, delay has a permanent place on Joe’s pedalboard. In recent years he has been using the Fractal Axe-FX II to handle his delay processing. In the past, he used two of his signature VOX Time Machine pedals. Even further back, he used a BOSS DD-2 and in his words “every time they came out with a higher number that was more reliable, I’d use it”. Joe’s signature delay pedal, the VOX Time Machine, has been discontinued. Fortunately, there are plenty of options for a good delay pedal. The right delay pedal for you depends on what features you want. Joe currently uses the Axe-FX II because of its ability to dial in the perfect EQ curves for him. 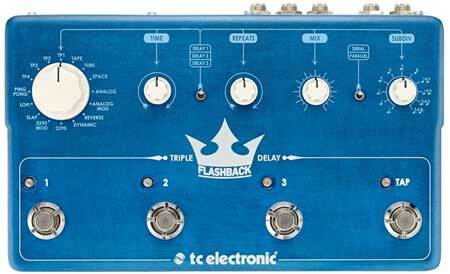 For the rest of us, something from the TC Electronic Flashback range will probably cover everything. One thing to consider is the ability to easily switch between different delays or stack two delays together. That’s why Joe used two delay pedals in the past and the Axe-FX II now. For example, you can set one delay to a long delay time and low feedback, and the other delay to a short delay time. This is a great way to create lush delay trails for your lead playing. An obvious way you could achieve this dual delay is by buying two delay pedals instead of one. For example if you like the warm delay produced by the MXR Carbon Copy, you can place two of them in your rig. Then you will have access to two different delays whenever you want them. This pedal was designed to allow you to run up to three delays at the same time from one pedal. If you like the idea of stacking different delays together, this is a solid choice. On occasion, you might notice chorus in one of Joe’s songs. He doesn’t use it often, but you usually hear it in clean tones to add a bit of color to the song. Joe has bounced back and forth between different chorus pedals and currently uses a BOSS CH-1 Super Chorus. Joe says he prefers a basic chorus and doesn’t like anything that gets in the way when playing live. This means he wants a chorus pedal that allows him to dial down the mix or depth. 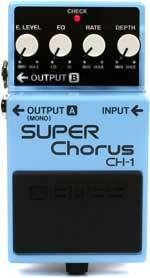 Choosing a chorus pedal with mix and depth knobs is a great way to set the ideal chorus level for your needs. Too much chorus sounds cheesy but a subtle use can greatly enhance a clean tone. This is something I discuss in my Guitar Effects Course and you can hear examples of chorus set to different levels and how it can either enhance the tone or completely destroy it. You might also notice that in 2016 Joe used an MXR EVH117 Flanger instead of a chorus pedal. It might seem strange to use a flanger instead of a chorus, but they both color the tone in similar ways (they’re both modulation pedals). If you don’t like the idea of using chorus but still want to get closer to Joe’s tone, try out a flanger pedal. 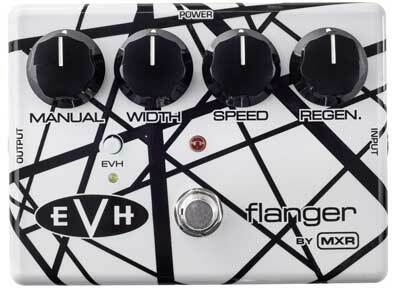 If you get the EVH Flanger, you can copy Joe’s exact settings from the photo earlier. I don’t recommend blindly following presets (as I explain in full in this guide), but trying out those settings can give you an idea what Joe wanted out of the pedal. Make sure you experiment with the pedal to find the right settings for you. Joe uses a Voodoo Lab Pedal Power 2 Plus to power his pedals. It’s one of the most popular power supplies and a solid choice. Read my full review of the Pedal Power 2 Plus here for more details. Alternatively, you can use individual power supplies if you only have a couple of pedals or you can daisy chain your pedals as explained here. When your pedalboard starts to grow, it’s a good idea to buy an isolated power supply like the Pedal Power 2 Plus. While the above gear can get you closer to a Satriani tone, there’s a lot of thought that goes into his playing and tone. The way you set up your pedals and how you use them is just as important as buying the right pedals. The following guides, lessons, and course will help you get closer to a Satriani tone and get the most out of the gear you use. 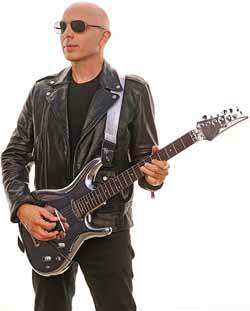 Joe Satriani is one of my favorite guitarists and I find his music incredibly fun to play. 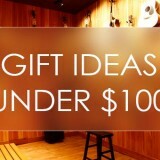 Many of my students come to me for lessons to learn how to play or write songs like him. If you’re interested in learning how Satriani uses modes to improvise, how he writes his vocal-like melodies, or you just want to be able to jam along with his songs, you might enjoy taking Skype Guitar Lessons with me. A lot of my students enjoy learning about Satriani’s music – not only learning the techniques and parts, but learning how to create your own licks and melodies in his style.